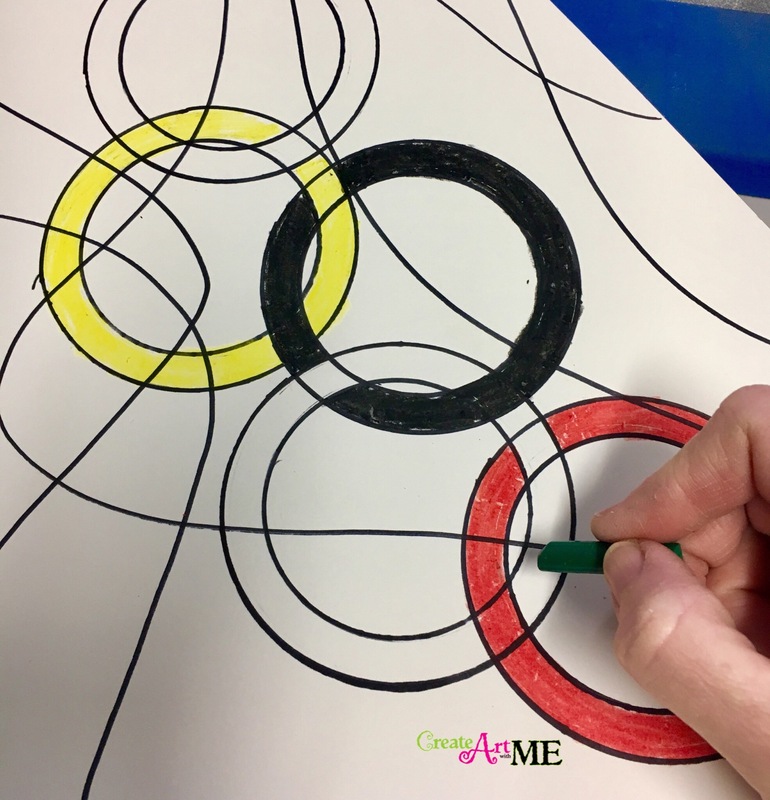 The Winter session of my 10 week After School Art Class just started and I thought it was perfect timing for doing an Olympics art project! 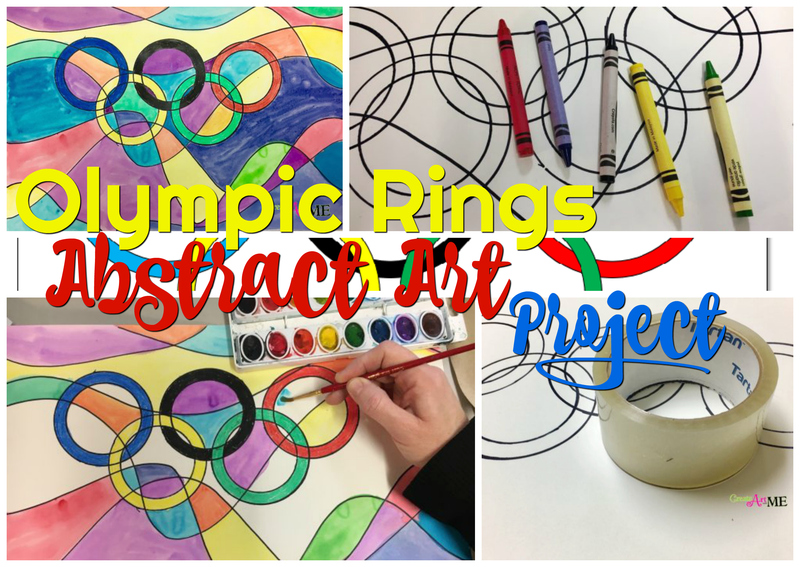 Since my class spans Pre-K through 5th grades, we needed a project that was achievable and fun for all the ages! 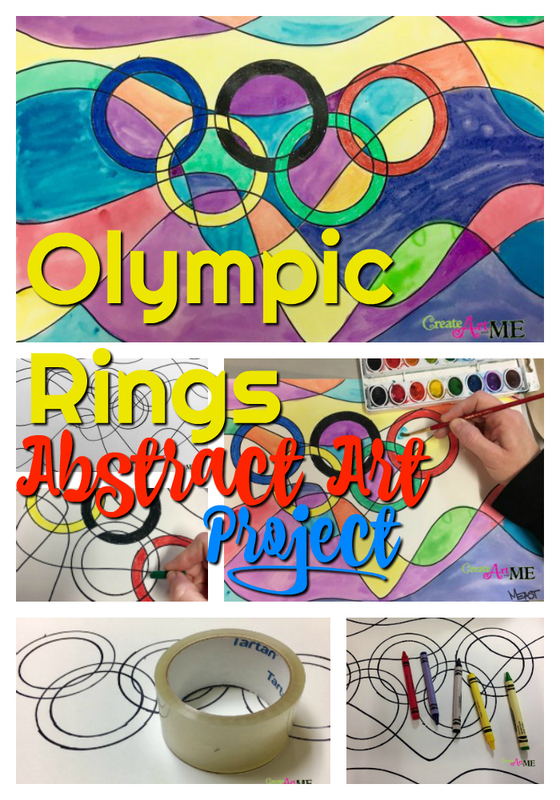 The Olympic rings art project was a perfect kick-start to this session! Learn the history of the Olympic games. 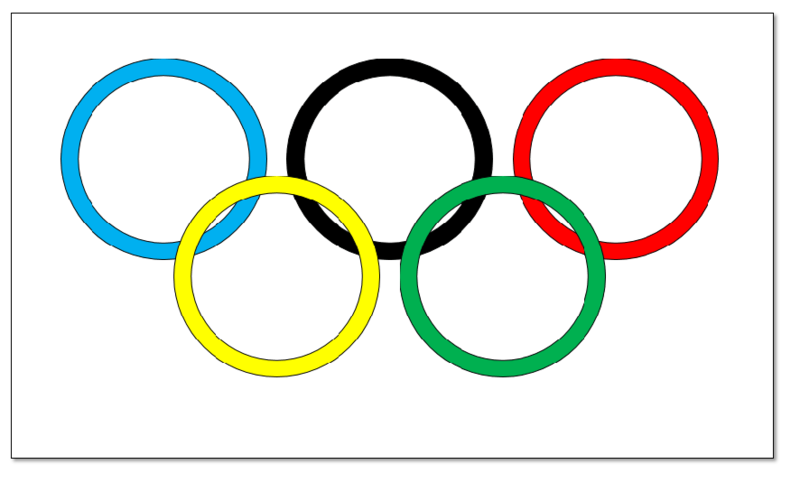 Understand the meaning of the Olympic rings. Learn that abstract art is taking something recognizable and distorting it through changing size, color, or adding dissecting lines over it. 776 B.C.- Olympic games began in Olympus in Greece with only one event the 200 yard dash. Originally, the games were part of a religious festival to honor Zeus. He was the god of the sky and the leader of the Greek gods who lived on Mount Olympus, the highest mountain in Greece. Even though the games were named after Mount Olympus they weren’t played there. Instead they were held in the religious sanctuary of Olympia near Greece’s southwest coast. There were no medals like the gold, silver, and bronze medals we have today. There was only one winner and he was given a wreath of olive leaves from a sacred tree as a prize. Were Women Allowed to Participate? Married women were not allowed to attend the Olympics and women weren’t allowed to compete in any of the events. The Ancient Olympic games were held for over a thousand years and ended in 393 AD when the Roman emperor Theodosius banned them. The Modern Olympics: The modern Olympics were started in 1896 by a French educator and historian by the name of Pierre de Coubertin. Pierre loved sports and felt that the world’s countries would have more of an opportunity for peace if they gathered together to play sports. What do the Rings Mean? 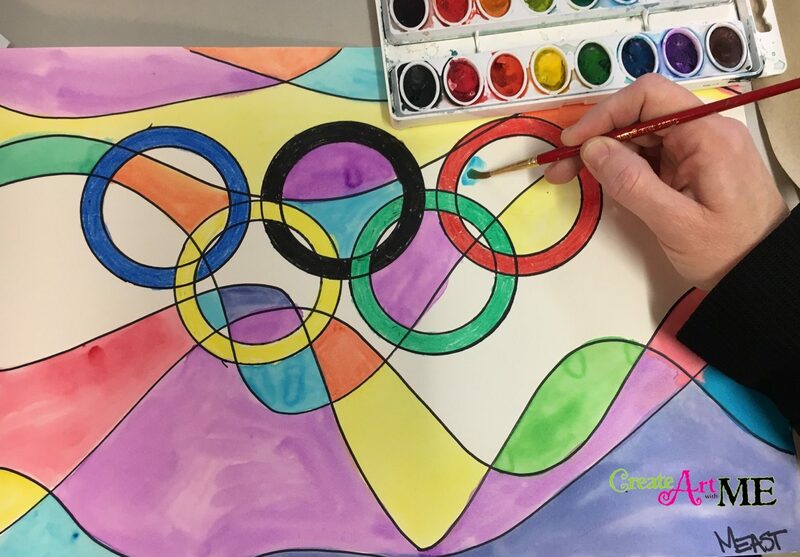 • The rings are five interlocking rings, colored blue, yellow, black, green and red on a white field, known as the “Olympic rings”. • The rings represent the five participating continents: Africa, Asia, America, Australia (Oceania) and Europe. • The symbol was originally designed in 1912 by Baron Pierre de Coubertin. • According to Coubertin, the colors of the rings together with the white of the background included the colors from every competing nation’s flag at the time. The Olympic motto is Citius, Altius, Fortius, which is Latin for “Faster, Higher, Stronger”. Abstract art takes something recognizable and distorting it through changing size, color, or adding dissecting lines over it. Place paper horizontally and write your name on the back right corner. 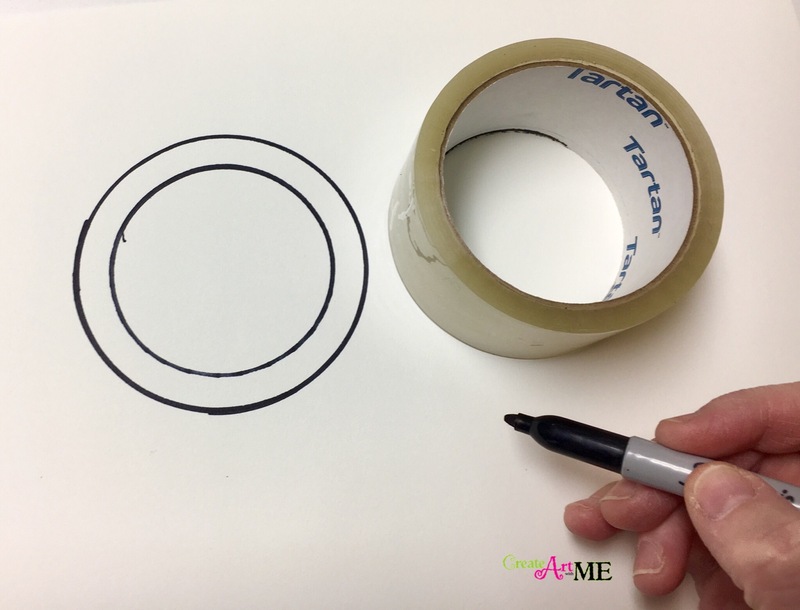 Use the packing tape to trace three circles toward the top center of your paper. Use your pinky finger to space out the rings. Trace the inside and outside of the tape roll. There are 3 rings on the top and 2 rings on the bottom. 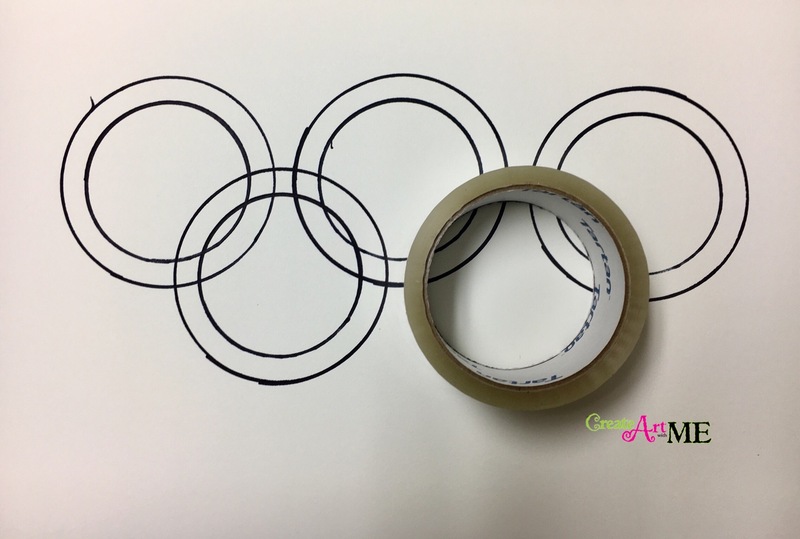 Underneath the first two rings, place the tape roll so it is overlapping the rings and trace the tape roll. Move the roll so it overlaps the middle and last ring and trace it. 4. 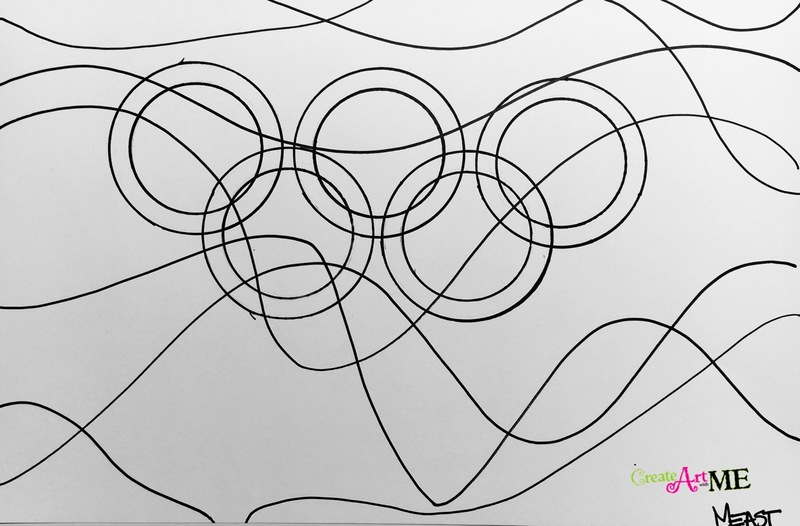 Use the Sharpie to draw 5-7 gently curving lines that overlap the rings and some overlapping each other. 5. 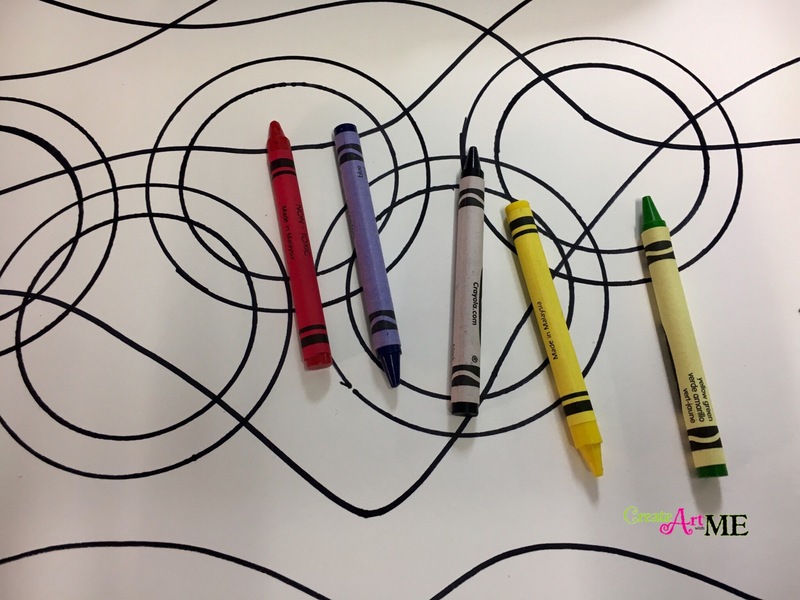 Use crayons to color in the rings, pay close attention to the placement of the colors. 6. Paint each shape with a different color with watercolors.